"What a great event we had! Lilly was amazing and was tremendously well received (standing ovation!)." "Lilly was absolutely fabulous and so kind and sociable. Everyone LOVED her and her speech was very inspiring and moving." "We could not have asked for a better speaker if we tried. " In 1998, after Ledbetter had spent 19 grueling years working at a Goodyear plant, an anonymous note delivered to her showed that she made 40% less than her male counterparts. 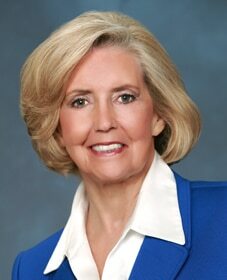 For 10 years, Ledbetter fought to close the gap between women’s and men’s wages, sparring with the Supreme Court, lobbying Capitol Hill in a historic discrimination case against Goodyear. While she lost the case on appeal (a decision upheld by the Supreme Court), the experience inspired her to become a spokesperson for equal pay. A fight for equal rights in the workplace!